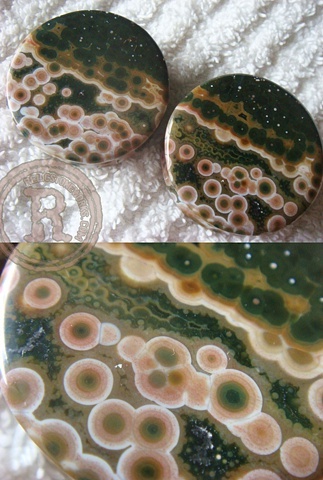 Ocean Jasper is a fine stone that was once mined from a single coast in Madagascar. It is prized for it's vibrant colors and distinctive "orbs". Excellent quality rough is becoming increasingly rare. This pair reminds me of a glass of champagne. Bubbles climbing to the surface only to ripple and disappear. Get it while you can.